Super Typhoon Yutu, which struck the Northern Mariana Islands as the strongest tropical cyclone to hit U.S. soil since 1935, appears headed for a second significant landfall — this time in the northern Philippines. 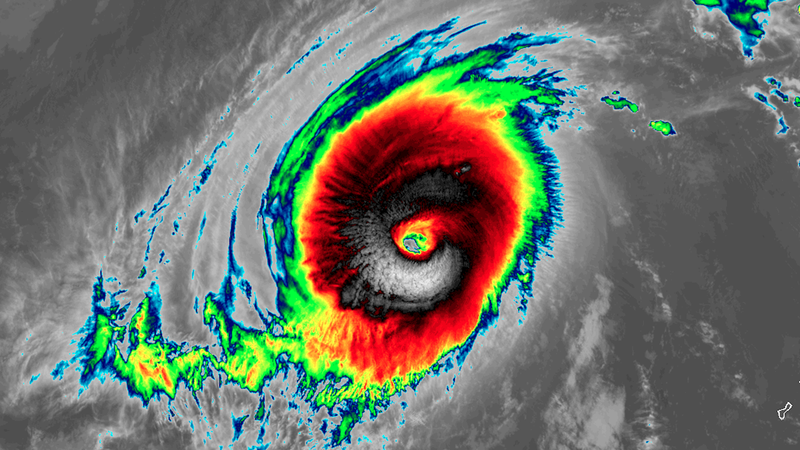 The big picture: Super Typhoon Yutu continues to push westward, and has turned into a larger, more sprawling system with estimated maximum sustained winds of 160 miles per hour. This puts it back to Category 5 intensity on the Saffir-Simpson scale. It's forecast to intensify further, to a 165-mph monster, during the next 24 hours, before slowly weakening. What's next: The storm appeared to intensity on Friday, and is forecast to only slowly weaken as it spins westward, moving ever closer to the Philippine island of Luzon. Computer models that had previously suggested the storm would recurve harmlessly out to sea are now converging on a far more damaging scenario, with a potential landfall in northern Luzon early next week as a Category 2 or 3 storm. The Philippines' weather agency, known as PAGASA, has announced that the storm will be locally known as "Rosita."